Amazon is reportedly developing a premium Echo-like speaker with a 7-inch display. The world's largest online retailer has seen immense success with its Alexa voice-assistant equipped Echo speaker and has even propelled Google to come up with its Home speaker. Now Bloomberg reports that Amazon is planning to capitalise on the surprise success of Echo with a more premium speaker offering an integrated touchscreen display. The addition of touchscreen is meant to ease access to content such as weather forecasts, calendar appointments and news. On current Echo devices, these information needs to be accessed via Alexa. The Bloomberg report adds that the next Amazon speaker will be larger and tilt upwards so that the user can see it while standing. The device is also reported to get high-grade speakers for better audio than existing Echo range. Amazon is expected to announce the device in the first quarter of 2017. According to Consumer Intelligence Research Partners, Amazon has sold over 5 million Echo speakers since its launch in 2014. For Amazon, Echo is one of the most recognised hardware product after failed effort with the Fire Phone. The Bloomberg report corroborates with a Wall Street Journal report which hinted at Amazon's Lab126 hardware unit developing an Alexa-powered device with tablet-like computer screen. The device was internally known as "Knight." The new speaker is likely to run an optimised version of Fire OS, the software powering Amazon's Fire tablets and Fire TV set-top box. 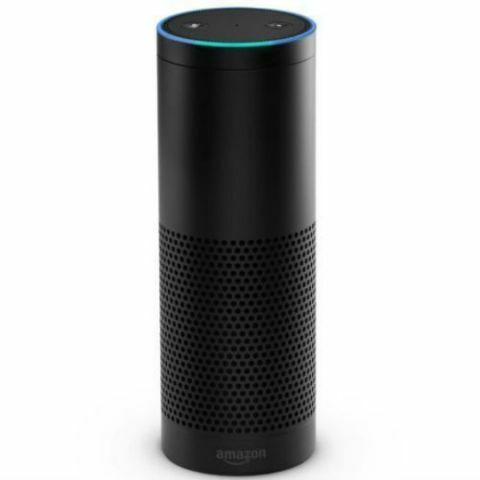 Bloomberg says the device will continue to respond to verbal commands and questions like current Alexa devices. Amazon also plans to continue selling the Dot, Tap and Echo speakers.